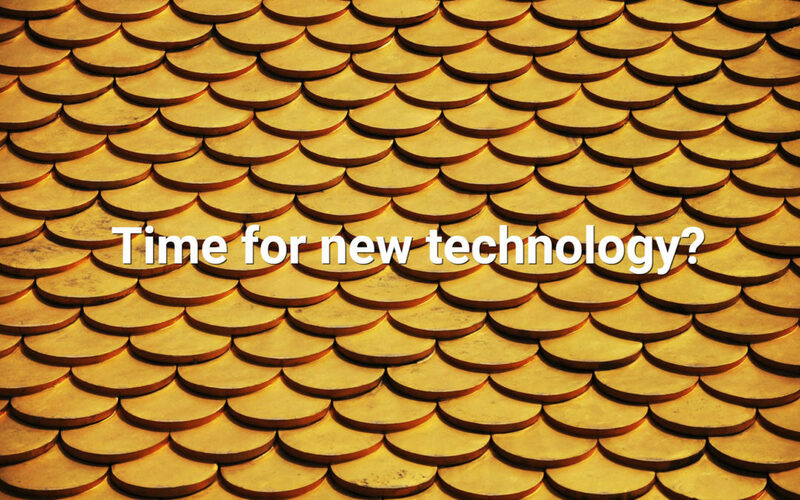 The roofing industry is a trade that many have spent years perfecting, so why would you want to start using new technology in your everyday work when you’ve already developed your own system? It’s easy to resist change when you’ve spent countless hours studying everything from the best techniques for the job to the best products to use. We understand that it can be hard, that’s why we’re here to help you understand the potential benefits of using new technology for your business. With the massive amount of options on the market these days, it can be a tall task to try to find the best products for your roofing business. We know your time is valuable, so we’ll walk you through some of the top tech tools for roofers right now and how they can help your business in more than one way. The EDGE estimating software is designed specifically for subcontractors dealing with roofing. This software evaluates the value of bids and measures variations in bids. It basically can give you estimates for an entire job’s requirements even including manpower. This is available on desktop and also as a cloud version. JobFLEX’s estimating software is one of the most user-friendly smartphone applications on the market with the ability to create invoices and estimates right from your phone. Why fumble around with sloppy, hand written estimates and invoices when you can put together a professional looking PDF and email it in a matter of seconds? This roof estimating software is available on Google Play. JOBPOWER is integrated accounting software specifically created for the construction industry that can practically assist you with all roles of accounting. JOBPOWER is an extremely valuable tool for roofing contractors, particularly when it comes to managing payments to vendors. It is available on desktop and also has a cloud-based version. Vista is integrated software that assists with finance, operations, and project management applications for contractors. If your roofing business is large enough, this tool can be extremely valuable in keeping your team organized as you’re able to manage workflow and reporting from your fingertips. It focuses on using “real world” workflows between departments and team members. This software is available for your desktop. Tsheets is a time tracking software that’s popular with roofers and other contractors. If you manage a larger business, some of the additional features like GPS tracking and timesheet modification can be very valuable. If you’re a one-person operation, Tsheets offers a free option. If you’re a larger business the pricing scales with your number of users. Tsheets offers both a desktop and mobile version. There are countless different applications and software available for the construction industry and specifically roofers. Each of these have one goal in mind to make managing jobs easier or helping your business grow to the level of efficiency that you’ve always wanted but never achieved. While it can be a real challenge for many who are transitioning into using new technology on the job, if you choose the right software and plug it into your regular processes you’ll put yourself in position to grow your business with less hassles.